Unique toilet papers from overseas were shown. 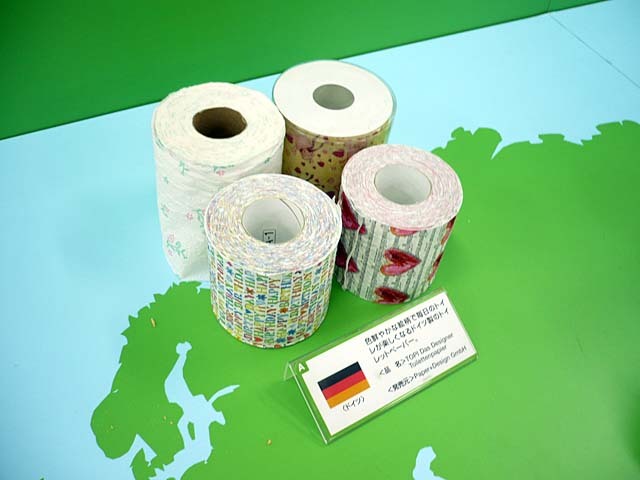 There are colorful and fun papers but they are little stiffer than Japanese paper. The texture of the orange one was soft though. 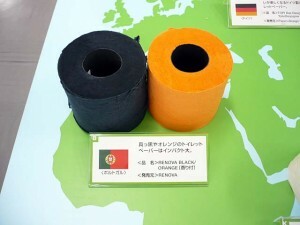 It’s from Portugal, orange scented. 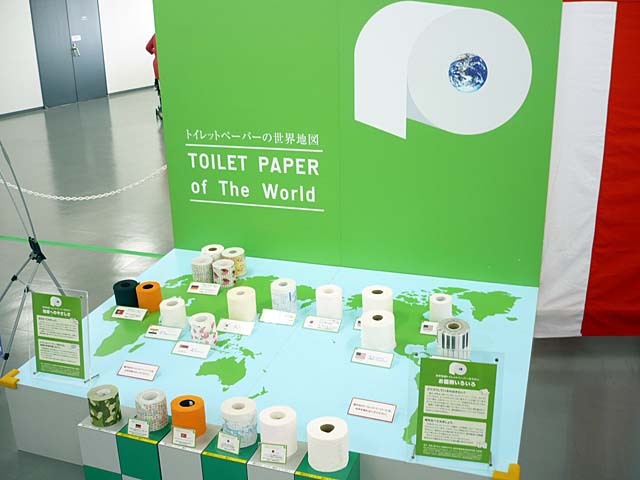 Japanese are very picky about toilet paper. It has to be wide and the texture has to be soft. 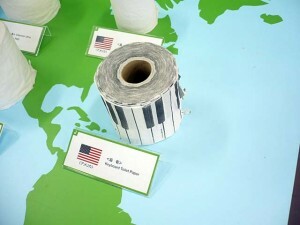 On the other hand, recycled narrower papers are used in other countries, which are more ecological than Japanese one. Nose and mouth are drawn on the lid, teeth are inside. 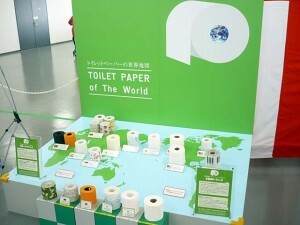 It has a sensor, when a user approaches the toilet, it opens the lid automatically. P.S. This dinosaur toilet is not marketed.